Which of these special shopping experiences is the best match for you? Be one of 3-5 women to receive my intimate, personal attention plus the fun of connecting with other like-minded women. It’s a great way to explore a new store with my guidance and to get feedback and ideas immediately. You’ll go home with things you love and ideas on how to wear them. I keep these groups very small so you get plenty of my personal attention. 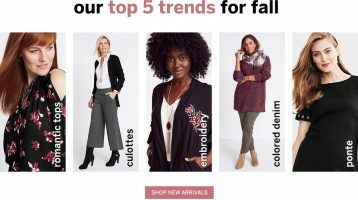 I am a master at connecting with everyone who attends to answer questions, make suggestions and help guide you to choose clothing and outfits that look great on you and that you’ll love to wear. Register quickly for the specific shopping trip you want because space fills up fast! *IMPORTANT FOR PRIVATE CLIENTS: Please note that if you are a current private client with Ginger you are eligible to attend these group shoppings by using a tiny amount (between 30 minutes and one hour depending on the shopping trip) of your private shopping hours — you DO NOT have to pay extra. Please email Ginger (ginger@totalimageconsultants.com) and let her know which one(s) you you want to attend and she’ll get it set up for you. NEW! 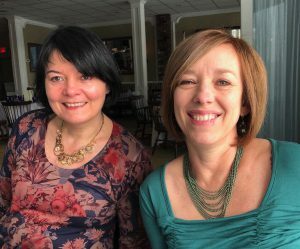 (10 am to noon at Total Image Consultants’ home studio in Lynn) The cabi line of clothing is sold through private shopping experiences. 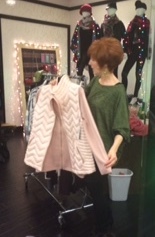 I recently met a terrific cabi stylist, Lissa Keane, who is excited to share the cabi line with us. She will show us the line in a 20-minute presentation at the beginning of the event and then you can shop, try on items and order what you want. This is a moderately priced line of clothing that has a wide variety of colors (yay!) and sizes run from XS to XL – fitting sizes 0 to 16 (and Lissa says women usually size down so some things will fit women up to size 18). Plus they have a very good exchange and return policy. You can see more details about the line here: https://lissakeane.cabionline.com/ although, to be honest, I never recommend judging the line by what you see here – it needs to be experience in real life to get the full picture. If you are looking for some new inspiration and a fun way to shop, please join us! Limited to 6 women. To register, please click the button below and select your preferred date(if more than one date is available). Dress Barn, 99 Main Street, Stoneham, MA. (9:30 am to noon) Dress Barn has been around since 1962 and for good reason. It offers a variety of styles, sizes (regular, petite and plus) and lots of color all at a great value. In addition, each woman who attends the group shopping will receive a 15% discount coupon to use that day. Limited to 4 women. 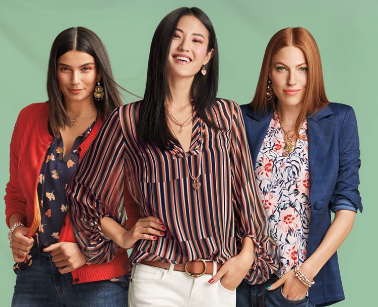 (Saturday – 10:15 am to 12:45 pm) As far as department stores go, Lord & Taylor has the best options — including a large dress department and one of the best plus size offerings around AND the petite department is back! Their prices are reasonable since they almost always have some kind of coupon going on! Limited to 3 women. To register, please click the button below and select your preferred date (if more than one date is available). (10:00 am to 12:30 pm) 233 Harvard St, Brookline — The Studio has a wonderfully eclectic offering of clothing and accessories — from super casual to dressy. I have taken everyone here — from 25 year olds to 80 year olds — there is something for everyone. They introduce the trends without it feeling overly trendy and many of their clientele have been with them for years (so they are obviously on to something!) If you like styles that are a bit different, this is a great store to explore. Limited to 3 women. (10:00 am to 12:30 pm) (Somerville, on the No. Cambridge line — address and directions will be sent upon registration). This is a unique opportunity to get my guidance and support as you learn how to create a jewelry wardrobe that will enhance and expand your wardrobe like you wouldn’t believe! It is open to only 5 women (and it usually fills up fast!) so you get lots of my hands-on help.There are few image tools more powerful and expressive than well-chosen jewelry. Take your look from elegant to professional to dynamic to enchanting to sassy to sophisticated to earthy to radiant … in a matter of seconds! Learn what length jewelry to wear, how much, what colors, how chunky vs. delicate, and a host of other tips. The BEST way to choose jewelry is to have your clothes right there to accessorize and that’s how this works. Bring as many clothes as you’d like and we’ll see what works and what doesn’t. This takes the mystery out of finding the perfect accessories and you’ll LOVE wearing what you get. Karel’s jewelry is magnificent — there is always something for everyone and it’s a phenomenal place to pick up beautiful, well-priced pieces that will give your wardrobe that WOW factor. Limited to 5 women. SPECIAL FOR 2019: Everyone who attends will receive a $25 gift certificate to use that day towards jewelry. In addition, on each date there will be a drawing and one person will win an additional $50 gift certificate! To register, please click the button below and select your preferred date. 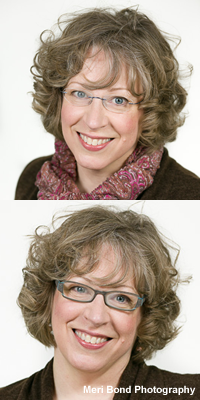 (6:00 – 8:00 pm) 50 Burlington Mall Rd., Burlington — 781-229-2020 — Are you looking for new glasses and would love to have guidance in choosing a pair that works for your prescription, coloring, lifestyle & personality so you feel great every time you wear them?As you know if you wear glasses, it’s the biggest, most important accessory decision you make. They are on your face for everyone to see and most people only have one or two pairs rather than a whole wardrobe of glasses they can change like their shoes. So, it’s super critical that the pair you wear regularly is one you love. (2:00 to 4:00 pm) — I was recently introduced to Pam Kubbins who has the most beautiful scarves. Since 2001 Pam has crisscrossed the globe in search of stunning, unique scarves and fabrics. Each time she travels, Pam gathers new inspiration from the cultures and people she encounters. Not only does she bring back scarves, but she also designs scarves. The fabrics are soft and lightweight! And all at a very reasonable price (most range between $30 and $60). Scarves can add a wonderful dimension to your wardrobe and are extremely versatile. Plus they do not tend to wear out the way clothes do so you can have them a long time! You are encouraged to bring clothes with you to help you choose specific scarves. This shopping experience is limited to 5 women and will be held in Wellesley (directions will be sent upon registration). Are you wondering whether this is for you? Left the store, with a complete new wardrobe for my new job – Stress Free! As you can see, we have a great time! 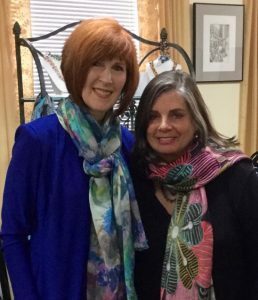 There is no better way to learn more about your personal style and add fabulous touches (with my support and guidance) to your wardrobe that will make your heart sing! P.S. Remember, this is on first come, first served basis so grab your spot now! P.P.S. Please note that there is a minimum number required for each shopping trip. The number varies depending on the store. Rarely is something cancelled, but we will keep you posted if that should happen and of course you will receive a refund.